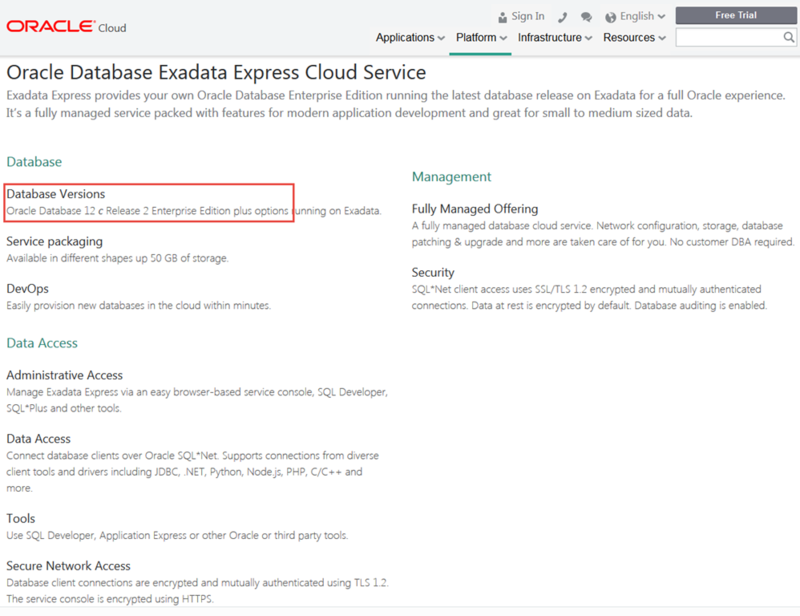 The initial availability of Oracle Database 12c Release 2 is through the Exadata Express Cloud Service – starting at $175 per month (for 20 GB data), the full Oracle Database with all database options, fully managed by Oracle. 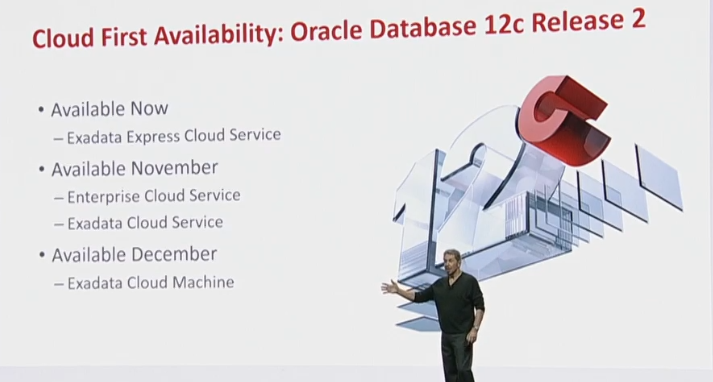 And as Larry Ellison presented in his keynote session at Oracle OpenWorld, 12.2.0.1 will be rolled out across the cloud in steps – Enterprise [DBaaS] Cloud Service and Exadata Cloud Service [very large shape] in November and the Exadata Cloud Machine (cloud@customer?) in December. No details were given about when we can start downloading this release and install it on premises. Presumably not in 2016. Without specific indication, I would expect availability on Linux in the early months of 2017 – say January of February. 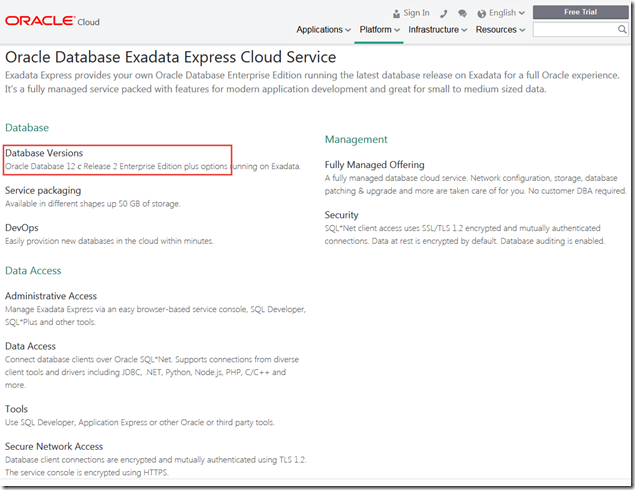 Note: a 30-day free trial is available for Exadata Express Cloud Service. Wat kan je als Forms of database ontwikkelaar met Oracle Database Release 11g?